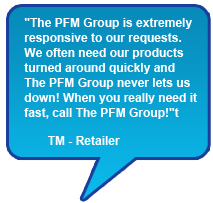 The PFM Group provides a wide-array of printing, product fulfillment services, direct mail resources and promotional products of the highest quality. Our expertise enables our clients to focus on managing their business while we produce effective means of communicating with their clients and prospects. Don't see what you want here? The Printing, Fulfillment and Mailing Group provide thousands of options. Contact us for personalized assistance to find the perfect gifts! 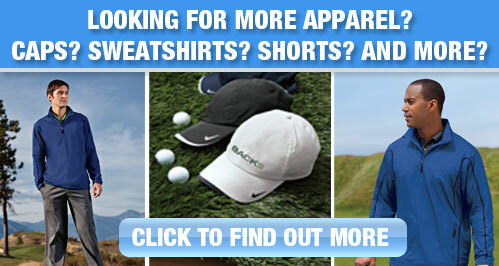 Explore further to find our "Specials" and "Discounts"! The PFM Group brings you special offers on corporate gifts and promotional products, such as, Vera Bradley (Corporate sales only), Starbucks gift baskets, apparel from golf shirts to hats and bags, golf gifts including printed balls with your corporate logo, golf gifts including clubs and gloves, gift sets of pens and pencils or water bottles and coffee mugs, trade show materials including full size booths to small retractable banners. We offer corporate sales to the South Jersey, New Jersey and Philadelphia, Pennsylvania regions. *Shipping is extra for all items. Not to be combined with any other offers.